So often - as teachers provide instruction, we ask our students to make connections so their new knowledge becomes life-long lessons. However, what isn't considered is this: Teachers have a lot to learn, too! 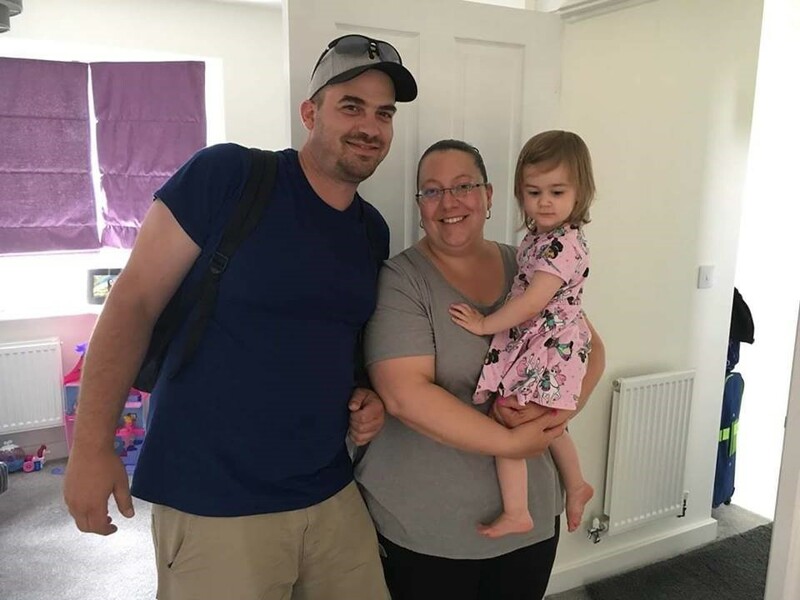 On August 1-9, 2018, my fiancé` Anthony and I traveled to Coalville, Leicestershire, United Kingdom to visit his sister Jodi and her family whom we rarely get the opportunity to see in person. We first traveled from Pittsburgh International Airport to London Heathrow Airport with a layover in Boston, Massachusetts. It was another two-hour car ride from London to our destination of Coalville. Eighteen total hours of travel from our home to their home! My lesson: Sometimes, a place worth getting to is worth waiting for. Anthony’s sister grew up here in New Castle, PA as a 2002 graduate of New Castle High School. After finishing college as a medical technician, she traveled back and forth from New Castle to the United Kingdom on a travel Visa until she earned official residency of the United Kingdom where she currently resides with her husband, Phil and daughter, Josephine (Josie). When we first found out she and her husband were expecting a baby and purchased a new home, we started saving up our money to make the lengthy trip across the “pond” to explore the country and spend some quality time together. My lesson: A great adventure is worth saving for. For me, everything about our trip was a new and exciting experience. Even starting out our journey, I had never been on an airplane and had never seen the ocean before! 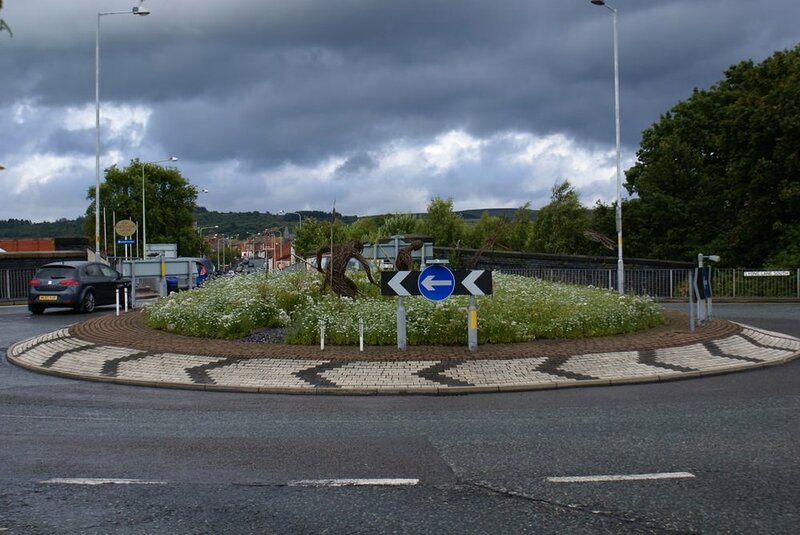 Once we landed in London, one of the first noticeable differences between the UK and America is that they drive on the opposite side of the road and utilize roundabouts instead of intersections. As a front seat passenger, it was quite frightening when zipping and zooming down the road on the opposite side of the car, on the opposite side of the street, going in circles! Glad we packed plenty of Dramamine. My lesson: I may need to step outside of my comfort zone to truly live life. DAY 1: We spent much of the day managing jetlag and relaxing with family. Phil and Jodi introduced us to a variety of traditional foods: scones (with clotted cream and jam), pasty, scotch egg, pork tongue, pork pie, toffee pudding, and a variety of unique cheeses. My lesson: Time with family is priceless -- even when trying pork tongue. 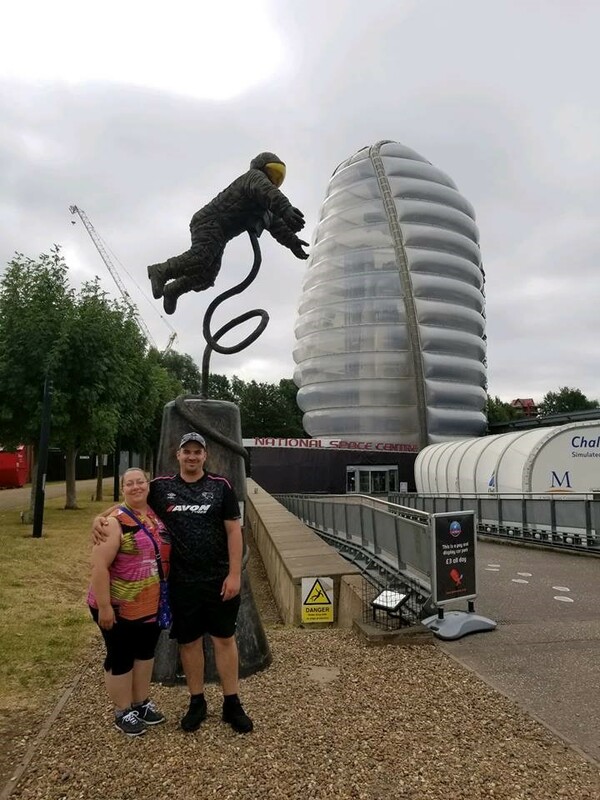 DAY 2: We visited the UK National Space Centre in Leicester. It was interesting to see a different perspective of the Space Race between the United States and the Soviet Union as well as Great Britain’s contribution to astronomy and space exploration. It was especially neat to see the Soyuz, the Soviet Union’s capsule designed to transport cosmonauts to the moon. Although it was never utilized for that purpose, it has since seen several upgrades and its current design now transports astronauts to the International Space Station, today! My lesson: Maybe when I retire from my teaching gig, I'll become an astronaut! After the Space Centre, we ate lunch at a Portuguese restaurant where we tried a variety of new foods. In the evening, we watched a game of football (soccer) as we cheered on the local Derby County Rams in their season opener versus the Redding Royals. The Rams scored the game winning goal with three seconds left, winning 2-1! My lesson: There IS more to life than football -- AMERICAN football, that is! DAY 3: We had the chance to experience a Full English breakfast (eggs, bacon, sausage, hash browns, baked beans, grilled tomatoes, mushrooms, and black pudding) at the Woodlands, a Wyevale Garden Centre. 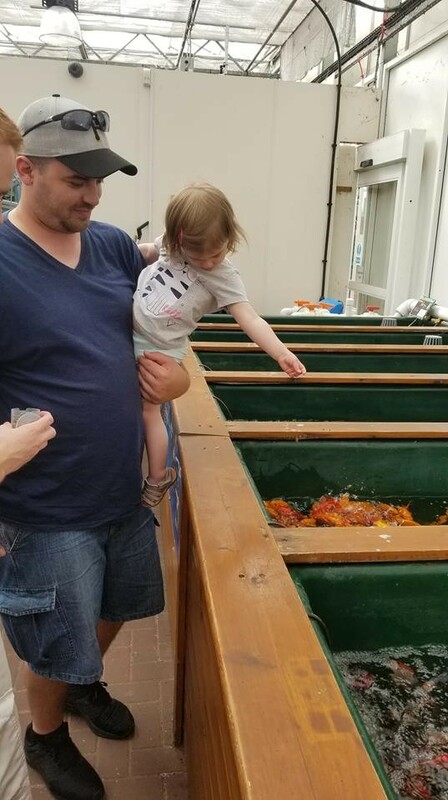 After breakfast, we took the opportunity to feed the fish in the pet section of the garden center. Continuing with the animal theme, we visited the Tropical Birdland Leicestershire, a beautiful sanctuary for protected and rescued exotic birds. My lesson: Our world is truly magical when we look through the eyes of a child. 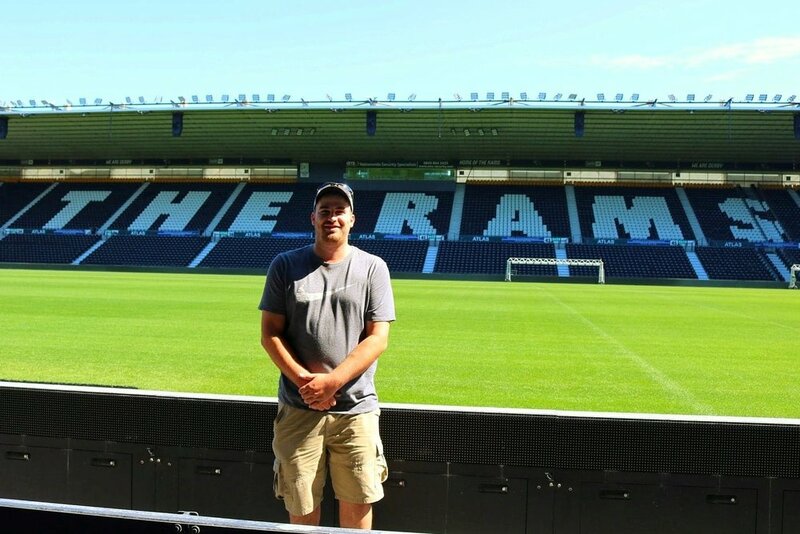 DAY 4: Anthony and Phil visited and signed up for a tour of the Derby County Ram’s Stadium. While the boys were on their tour, Jodi, Josie, and I went shopping at the local shops (mall). A few familiar stores, and many new ones to explore, too! When the boys joined us at the shops, we had lunch at an authentic Italian restaurant. The best flatbread pizza I have ever had! ...and pizza is magical, too. 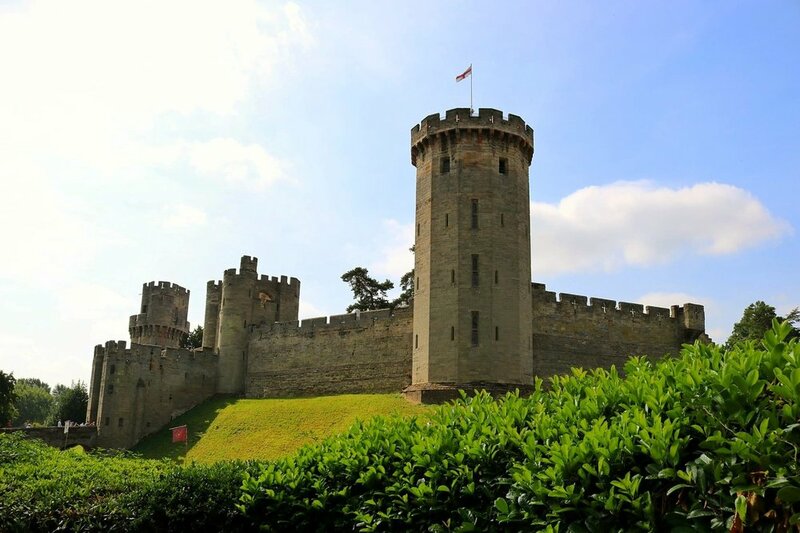 DAY 5: We visited Warwick Castle, a restored castle dating back to the year 1068. The castle is now a popular tourist attraction depicting time-period artifacts staged as they would have been all those years ago. It was by far the oldest structure I have ever seen with my own eyes, dating hundreds of years earlier than the birth of America! 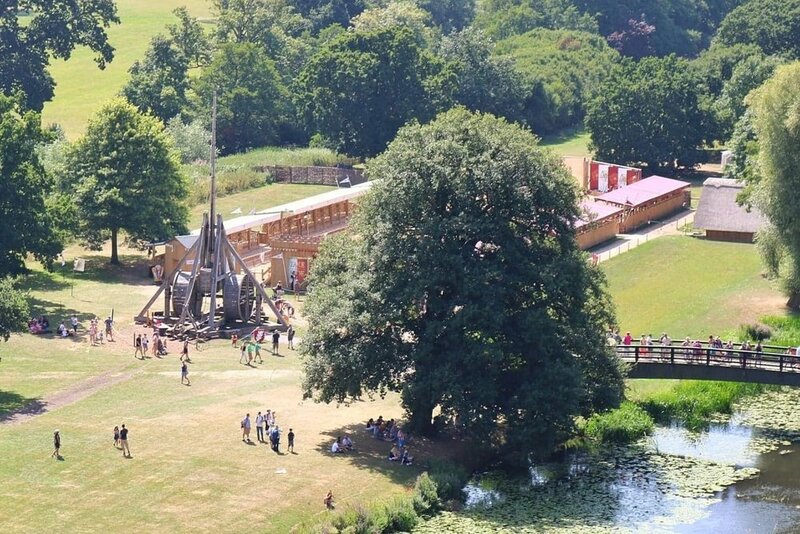 We had the opportunity to tour the grounds, climb the tower, explore the living residence, and watch the Trebuchet launch a boulder through the sky. My lesson: Knowing our history helps us appreciate our present. DAY 6: Jodi and Phil took us on a grand tour of the countryside. Beautiful landscapes full of stone walls, hedge rows, and sheep! First stop was the Village of Tissington which dates back to the year 1086. A popular tourist attraction because of its all-stone construction. It was very quiet and there were very few people around in the early morning when we arrived. It was like taking a step back in time! Next stop was Monsal Head overlook. A beautiful view overlooking a valley. This was the location Phil proposed to Jodi. There was a hotel, pub, and shops located nearby for tourists. I could have spent much more time here than we had budgeted in our itinerary! Then we did a drive-by of the Chatsworth House/Estate. This was by far the largest “home” I have ever seen! The photos do not do it justice. It is easily multiple times larger than the White House and that does not include the grounds and other buildings. Unfortunately, we did not have time to take the tour, but I am told this house contains thousands of pieces of famous artwork spanning 4,000 years including works from the ancient Romans and Egyptians! Last stop on our tour was a small village called Matlock Bath. In the 1600’s, a warm spring was discovered and the village became a spa town for rest and relaxation getaways. Today, the village has numerous cafés and shops for tourists. 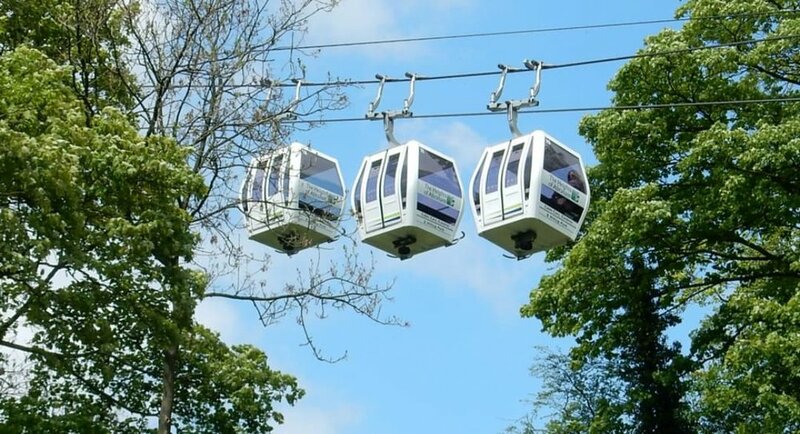 Because of the steep hillsides, an additional tourist attraction called Heights of Abraham, is located on the top of one of the hillsides and can only be reached by cable car. Another first for me, we rode the cable car to the top of the hillside where there were additional tourist attractions. My lesson: It's interesting to participate in traditional "touristy" things; there truly is a lot to learn! While there, Anthony and Phil took a guided tour of a cave while Jodi and I enjoyed cappuccino on the terrace overlooking the countryside. I even found an old-fashioned phone booth for a quick photo op! 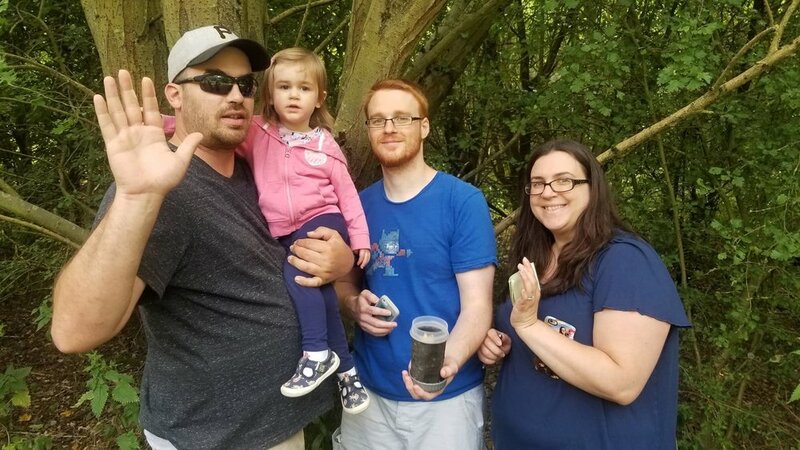 Anthony and I introduced his sister to Geocaching while on our trip. After finding a “cache” near their home earlier in the week, we decided to create and place our own “cache” in England before heading home. It was at the top of one of the Heights of Abraham that we found the perfect location! Even though we had a long day of sight-seeing, we managed to snag a few more geocaches before heading home. My lesson: It's good to have fun in every corner of the globe. DAY 7: A day of rest before our long journey back home. Spending some quality time with Josie! 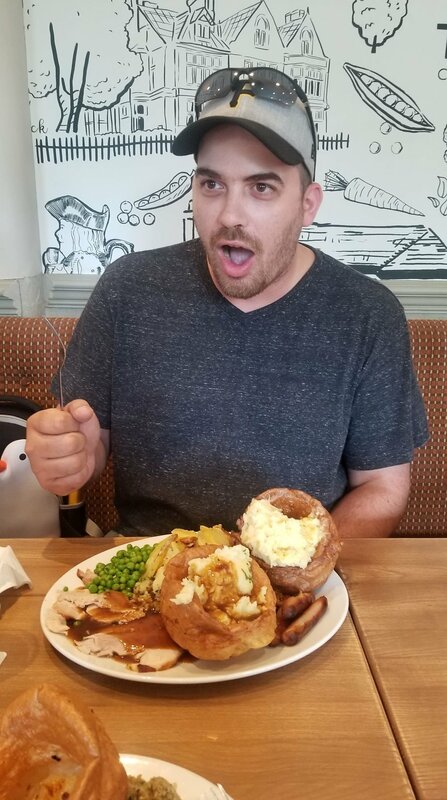 We had lunch at a local carvery where they piled food so high we could not believe our eyes! In an effort to walk off some food, we headed to Beacon Hill to sightsee and do a little more geocaching! 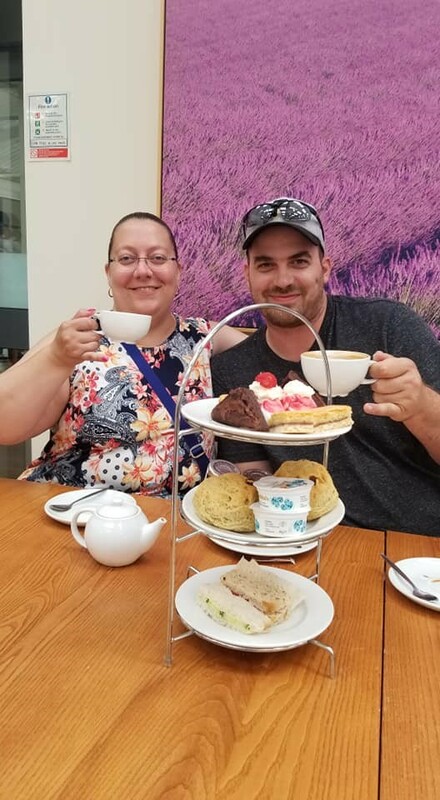 Even though we weren’t even a little bit hungry, it was 4:00pm and we HAD to experience Afternoon Tea! Back to the Woodlands, a Wyevale Garden Centre we went. My lesson: Participating in others' traditions helps me appreciate them even more! Day 8: At 3:00am UK time, we began our 21 hour journey back to New Castle, PA, USA! 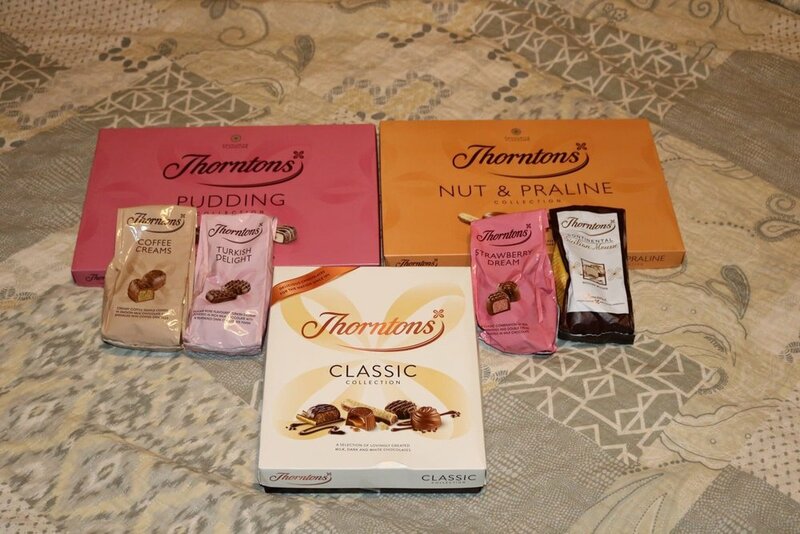 It was very hard to say goodbye to family but we look forward to their next visit to our side of the pond. We had a fantastic “holiday” full of many unique experiences. We look forward to the opportunity to explore more of the United Kingdom in the future. Until next time…. Oh yes -- my last lesson: It's good to be home. I look forward to bring my sense of adventure and exploration from "across the 'pond'" back home to my very own classroom, and I hope my students also learn to love discovering new lessons this year.